We had a very laid back, informal Christmas Eve lunch at our house on Saturday. Since we decided that noon was the best time for everybody to meet, I decided to make something that I could start the night before, then throw into my Crock Pot. I chose two chuck roasts that totaled about 6 and a half pounds. I was cooking for 6 adults and 4 kids. I needed something economical that would feed several. Late Friday night, I browned the roasts on all sides in a large pan. Then I placed them into my 6.5 quart slow cooker. I threw the carrots and onions into the bottom of the Crock Pot. Then I placed the roasts on top. A few hours later, at 3 a.m., I added a can of Cream of Mushroom Soup with Roasted Garlic and about a half cup of beef broth. I knew that the roasts would release a lot of their own moisture. I sprinkled course kosher salt and freshly cracked pepper in layers on top of the vegetables, then on top of the roasts. I put the lid on, set it to low, and let it cook while I slept. The next day, I removed about 2 cups of the liquid from the slow cooker. I added it to a small dutch oven. As it cooled, the fat solidified at the top. I removed the fat, then reheated the rest over medium high heat. 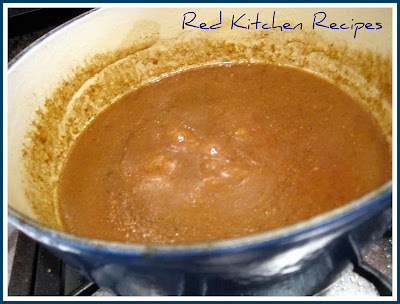 To make a gravy, I mixed 2 tablespoons of cold water to 2 tablespoons of corn starch. I added it to the dutch oven and let it thicken, then let it simmer on low. 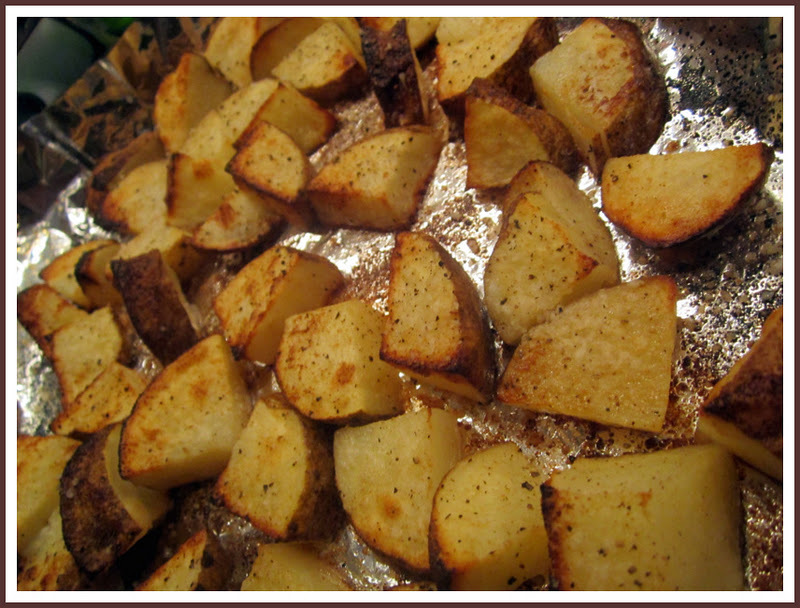 Since the roasts took up so much space in the slow cooker, I oven roasted some potatoes. Just cut the potatoes into small bite sized pieces, drizzle with olive oil, season with coarse kosher salt and freshly cracked black pepper, and cook in the oven for about 10 minutes at 450 degrees or convection roast at 400 degrees. Everyone told me several times that they loved the roast. I loved how easy it was to feed so many people with such little effort! Season the roasts with salt and pepper. Heat a large pan over high heat, add the olive oil, and sear each roast on all sides one at a time. 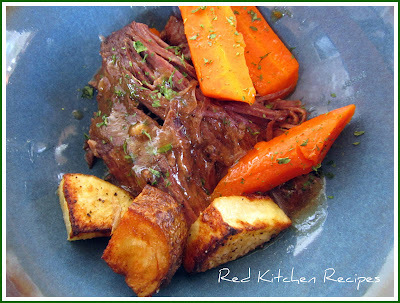 Set the roasts onto a plate or platter. 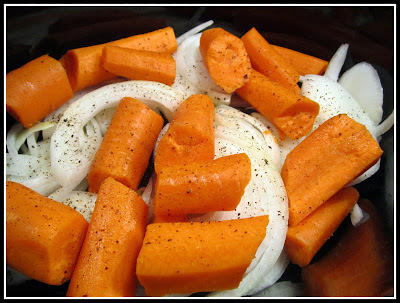 Add the carrots and onion to the slow cooker. Sprinkle with salt and pepper. Top with the roasts. Sprinkle more salt and pepper on top. Add the soup and beef broth. Put the lid on top and cook on low for 9 hours. 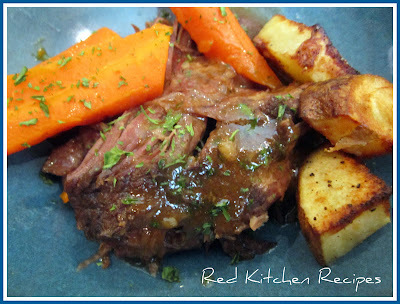 Remove 2 cups of liquid from the slow cooker and place into a dutch oven. When the fat solidifies on top, remove it. Heat the dutch oven over medium high heat. Combine corn starch and cold water. Add it to the dutch oven, bring up to a boil, then reduce to low once it thickens. Make the potatoes: Preheat the oven to 450 degrees or 400 on convection roast. Roll the potatoes in olive oil, salt, and pepper. 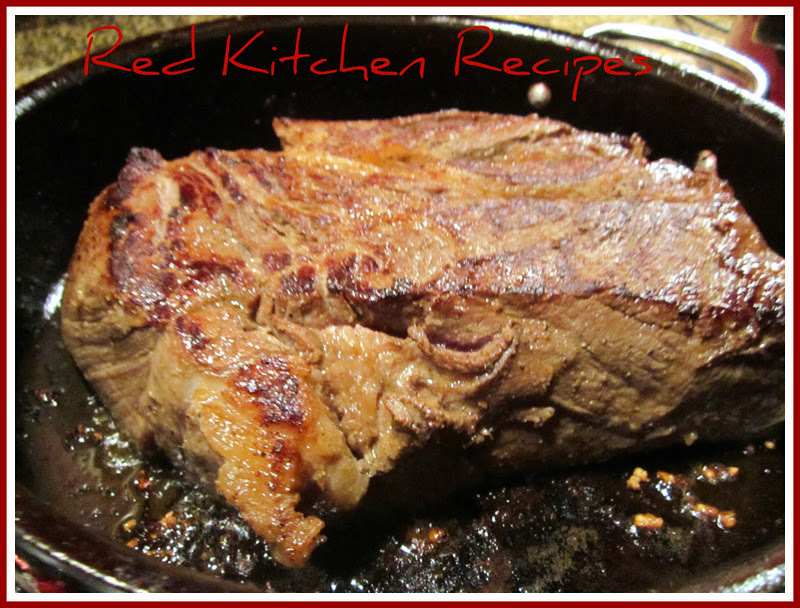 Cook for 10 - 15 minutes or until the edges are browned. The roast is ready when it is easy to shred with 2 forks.